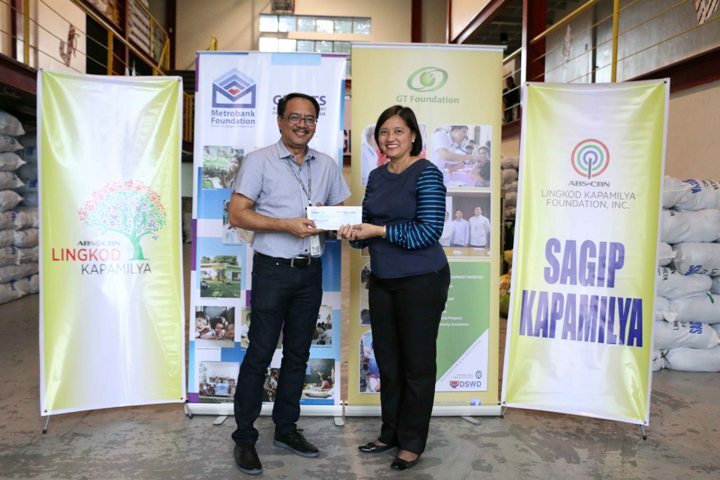 Metrobank Foundation’s Assistant Executive Director Irene Labitad personally went to Sagip Kapamilya’s Warehouse to turn-over their donation of 500,000.00php for the victims of Typhoon Lando. She said, this donation came from their calamity assistance fund. This isn’t the first time that Metrobank Foundation has given a hand to our calamity-stricken kababayans through ABS-CBN Lingkod Kapamilya’s emergency humanitarian assistance arm. Back in 2013, they also donated for the victims of super typhoon Yolanda. Their donation given to Sagip Kapamilya will be used for the relief operations of the program in the provinces of La Union and Pangasinan. Aside from those provinces, to date, Sagip Kapamilya has served 15,597 families, 77,985 individuals affected by typhoon Lando in Aurora, Tarlac, Nueva Ecija, Isabela, Ilocos Sur, Bulacan, and Benguet.